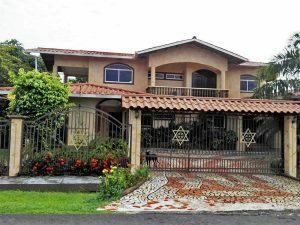 This is an impressive, new modern style house for sale in the exclusive La Perla area of David, Panama. 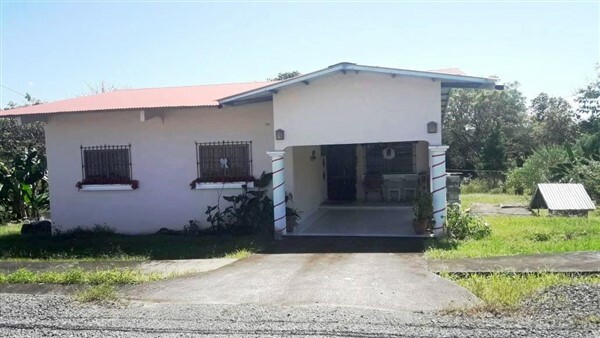 Located just a few steps from a large and well-maintained family park in lovely Aqualina, you will find this gem of a home. 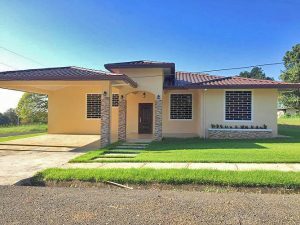 Raised up from the street and centrally located, the house is well-positioned within this well-kept and warm neighborhood of new homes. 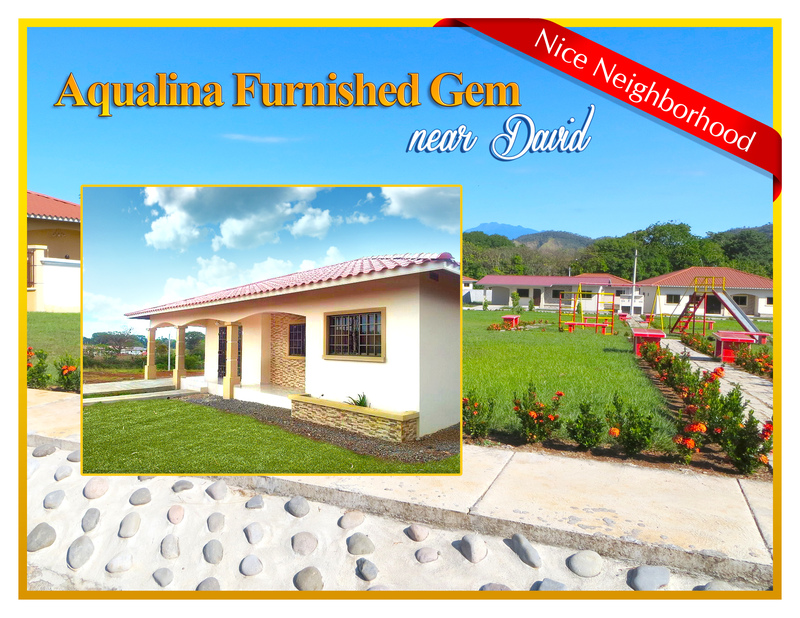 In lovely Aqualina, you will find this three bedroom, two bathroom well-priced home. 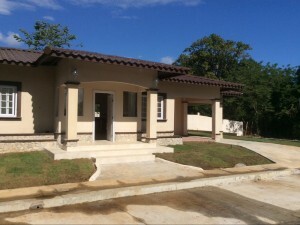 Raised up from the street, the house is in a great position on the lot. 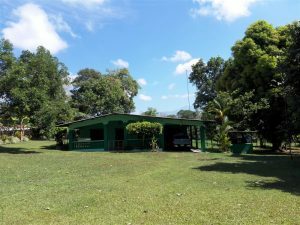 This is a lovely nearly two acre property with a large recently built wood cabin style house. 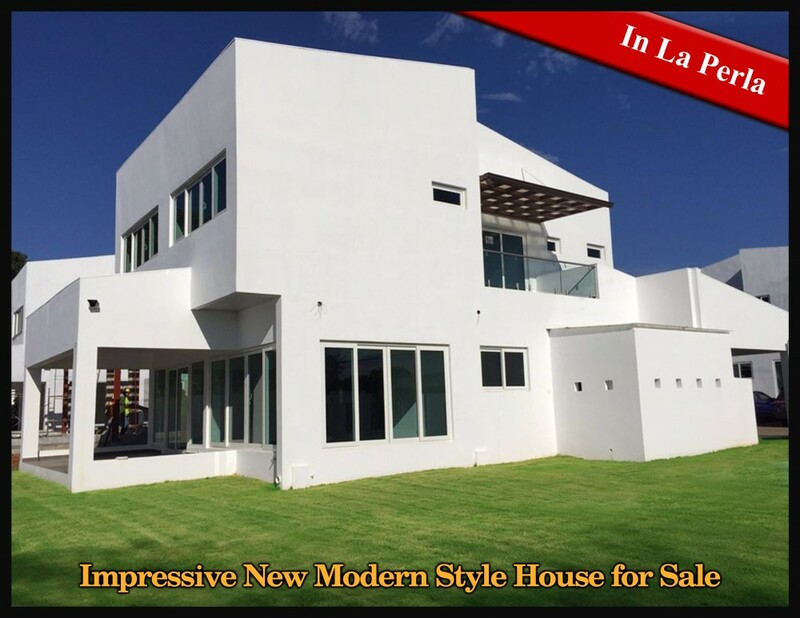 Extraordinary Modern 4 Bedroom home located in an exclusive community called San Antonio in David Panama. 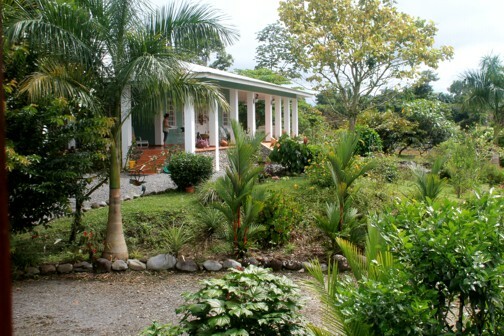 One of the finest homes in David, Panama. 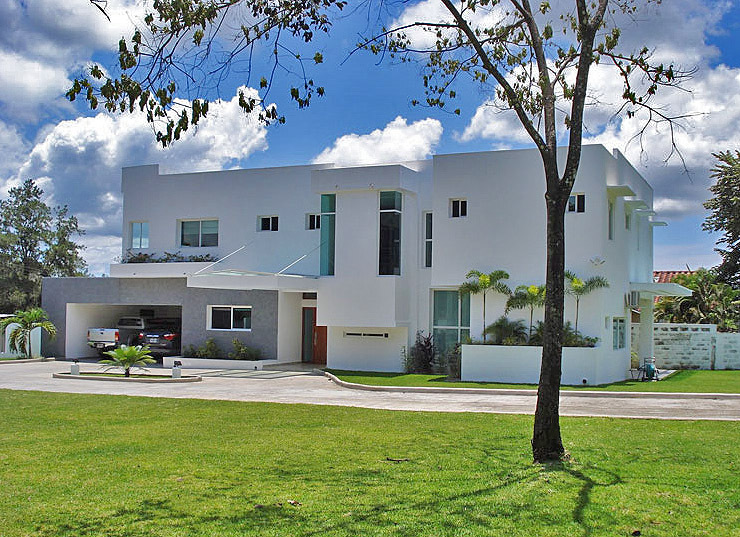 True luxury. 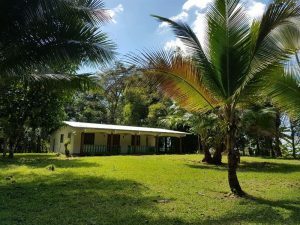 This house is on a very pretty property with incredible views in a rural area of Chiriqui Province on a paved road. 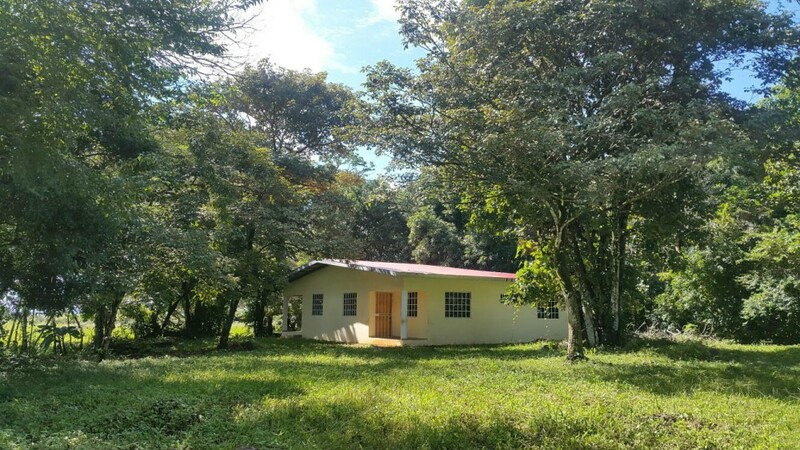 Close to the center of Bugaba and within easy reach of David, Panama, La Concepción, Panama and Volcan, Panama, this property offers so much. 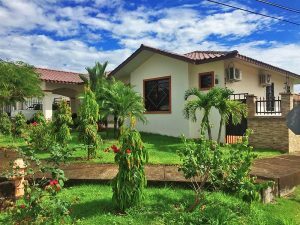 5BD, 2 baths two-story building in a private and beautiful natural setting with fruit trees where your guests will enjoy the genuine feeling of being in a countryside home. 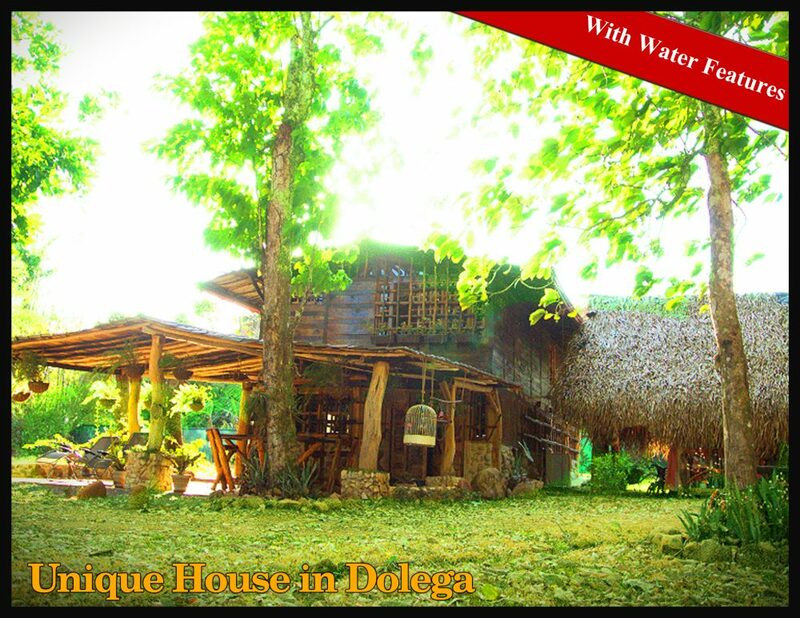 Fully furnished and ready for all kinds of social events. 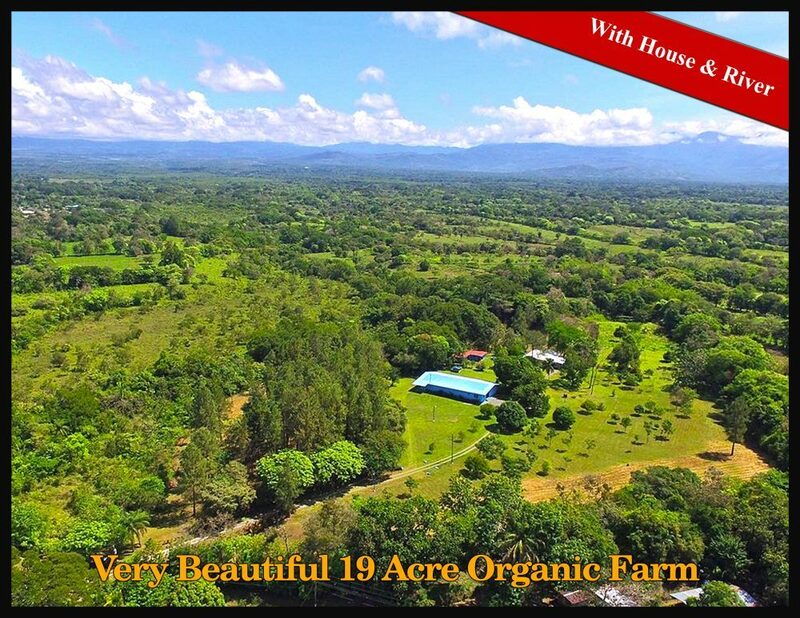 With 2 pools, soccer field, basketball court, BBQ poolside area, and a typical ranch-style building with room for 120 people. 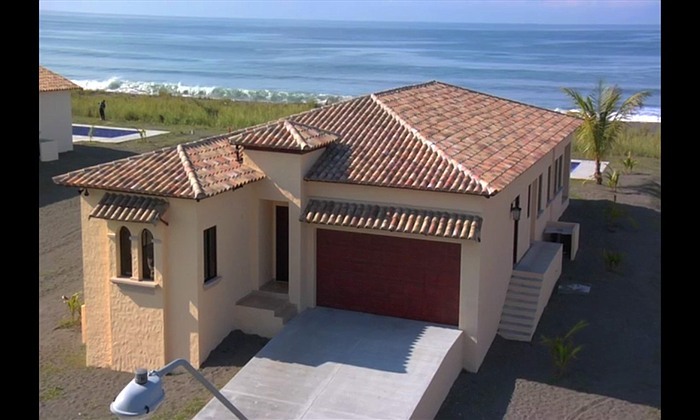 Great finishes throughout the house, with fine woods. 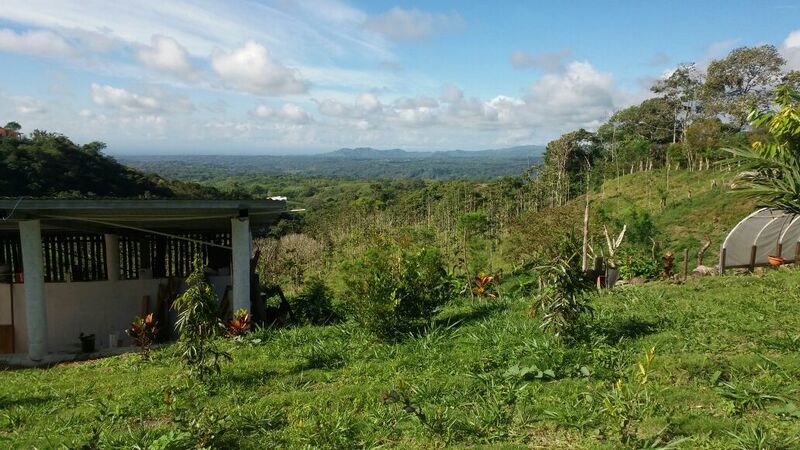 Beautiful views to the Boquete mountains. 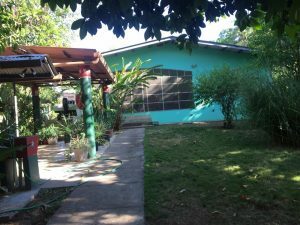 This house for sale or rent has a swimming pool, plenty of space and is located in a nice residential community. 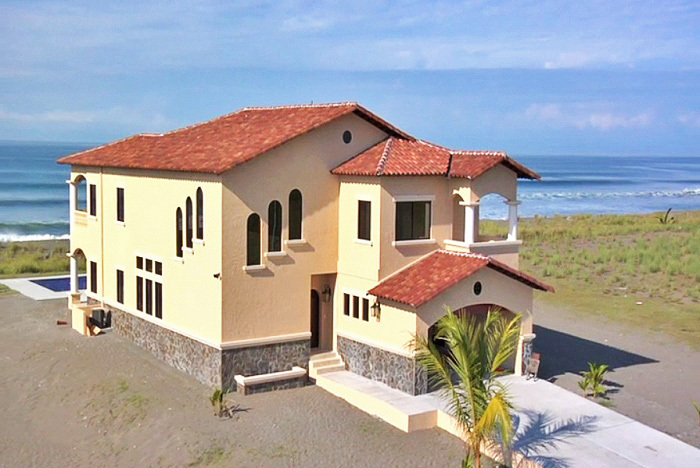 Boasting a modern design and a large ½ acre plus lot, this two-story house stands out as one of the finest houses in David Panama; Of recent construction, the home includes 4 bedrooms (3 of them are on the second floor complete with en suite bathrooms and walk-in closets), living room furniture, appliances, 7 split air conditioning units installed in key areas; a 2 car garage, breakfast bar, laundry room, dining room, ample balcony and beautiful landscaping. Very high-end finishes and extras. 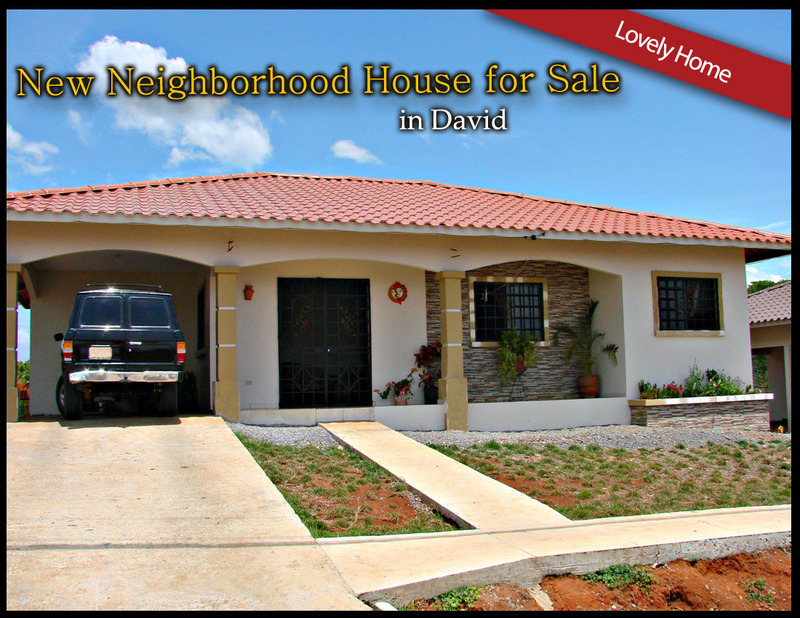 In a lovely development of new homes in David, you will find this extraordinary David Panama house for sale. 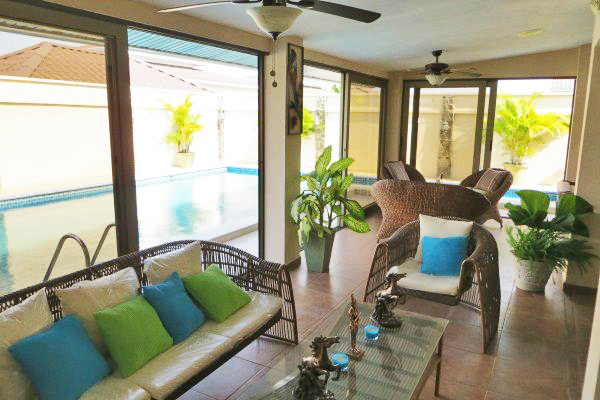 The entry to the home is grand with high ceilings. 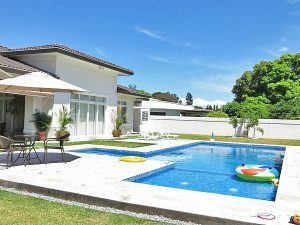 The home is great for warm David in that it has an enormous glass enclosed patio with a unique wrap-around swimming pool that embraces the length of two sides of the home. 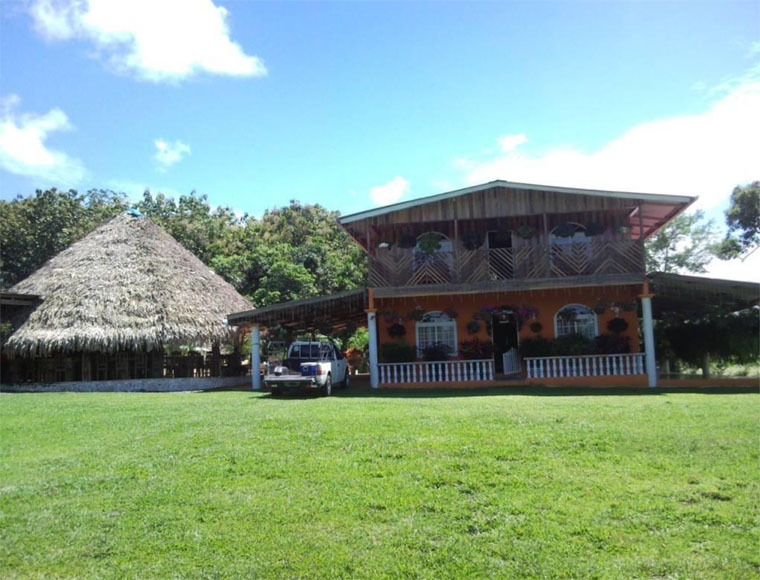 This quality house is located just above David in a pleasant climate area. 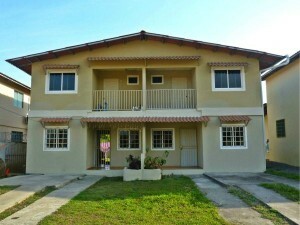 This is an affordable home for sale in Dolega Panama in a pleasant residential community. 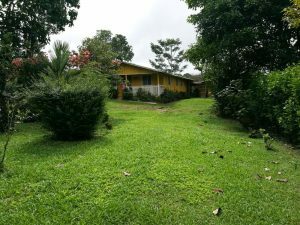 Looking for a very large house in a nice area of David, Panama? This could be it.